To review what is available to purchase simply browse the online product catalog. When you have arrived at the item you wish to order, click on "Add To Bag" and then decide your requested quantity (maximum 9 pieces for each item). When your order contains the items quantities you wish to purchase, please login to continue the next step or register if it is your first time to make purchase online. You will then be asked to provide us with your shipping and payment (Credit Card) information. Once you have paid via credit card your order will be processed online immediately. Once your credit card details are verified by Global Payments, we can pack your order and deliver it to you. This transaction will appear on your bank statement as a payment to Melvita. - Represents your order in progress. - Represents your order had been completed. (1) MELVITA will send an Order Confirmation email to you after your payment is verified and with our acceptance. The email contains your order details including products code, product description, invoice and delivery address. If you do not receive the order confirmation email within 4 working days, please email to contactus@melvita.hk for any assistance. (2) MELVITA will send a Dispatch Notification email on behalf of our forwarder to you after the forwarder has dispatched your order. You can find your tracking number and the details of your shipment. You can click the following link to track your order. If you do not receive the dispatch notification email, please send an email to "contactus@melvita.hk for assistance. (3) For those orders to be delivered to China especially outside Guangdong province or remote districts (e.g., Liaoling, Ningxia, Xinjiang, Heilongjiang, Neimonggoi) may take a relatively long time, the delivery time may take up to 14 working days. (4) If your order does not meet with the local regulation or requirement of the country of delivery, e.g. because of weight or total order amount, MELVITA may automatically separate your order into several parcels which will be delivered on different dates to meet the requirement. You will be notified of all the tracking numbers by email. The forwarders we provided strives to provide quick and efficient delivery service to you but delivery time may vary due to regions of delivery, custom issues, logistic arrangements, weather and public holiday (i.e. Christmas, New Year, Easter, 10.1 Golden Week, etc). The forwarders have no control over and will not be responsible for any delay. Since some of the custom authorities may take a relatively long time for customs clearance and inspections for up to 2 - 3 weeks. Please email to contactus@melvita.hk for assistance. Melvita Hong Kong Online Boutique is set up to take immediate orders online via credit card (MasterCard™, Visa™ and Alipay™). This transaction will appear on your bank statement as a payment to Melvita. All prices on this website are processed in Hong Kong Dollars (HK$). All orders are acknowledged at current pricing. We will bill at the price in effect at time the payment is confirmed. In order to protect you as well as ourselves from fraud or other unauthorized or illegal activity, MELVITA screen all orders and reserves the right to withhold or refuse processing any orders due to suspected fraud or unauthorized or illegal activity. MELVITA may request a copy of your credit card statement via email to verify your payment. MELVITA also reserves the right to disable any member accounts or refuse to ship to certain addresses in case of suspected fraud or unauthorized or illegal activity. 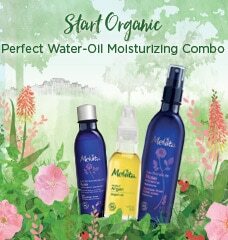 Product prices listed on Melvita Online Boutique are subjected to change without advanced notice. Basically, our products last for 2 to 3 years while some promotional items may last for 5 to 15 months. Products will last for 3 to 12 months after use. Please refer to the "Seal icon" of our products for details. Every transaction must not exceed HK$5,000. Since Mainland China's customs authorities imposed a tighter postal security measures, parcels may be selected for customs clearance randomly and therefore may be subjected to a certain delay on delivery time. Please refer to https://www.customs.gov.cn/publish/portalO/tab399/info231089.htm for details. If orders returned to us are due to customer's refusal to pay tax or inability to make import trade declarations, the customer will be responsible for the shipping fees for the return or resending the goods and/or restocking fee for order cancellation. Please refer to "RETURNS POLICY" for details. If China order is detained by the customs, please don't submit the supporting documents by yourself. Melvita doesn't make any compensation if any taxes are incurred. VIP bonus points and gifts with purchase at boutique WILL NOT be entitled for Melvita Online Boutique. Goods will need to be signed upon delivery. If the delivery is in vain without someone to sign, a fee of HK$100 will be charged for next delivery requested. Melvita will not verify the recipient’s identity and bear no responsibility for this. All claims for shortages must be reported to customer service on the day of delivery. You may email to contactus@melvita.hk or contact Melvita Customer Service Hotlines at +852-2899-4168 if neccessary. - The result must be proven that the effect is caused by using the product in the medical report. 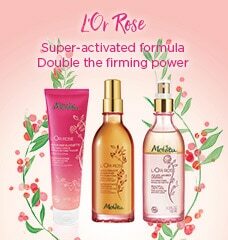 MELVITA will arrange the refund and responsible for the shipping fee of product return according to the above situations. We will issue a product exchange for any full priced unopened merchandise that is returned within 14 days of delivery date. - To return any items, please contact Customer Service on 2899 4168 or by email contactus@melvita.hk from Monday to Friday, 9.00am to 6.00pm. - Orders are returned to Melvita as incorrect address, a PO Box and hotel address, failed delivery attempts, refuse to pay tax / refuse to provide ID copy / unable to make import declarations or parcel refused by recipient. 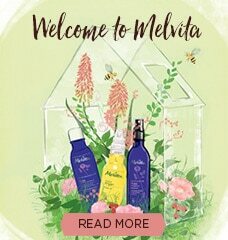 - When the delivery agent returns an undeliverable package to Melvita, Melvita issue a refund by reducing the original shipping fee, handling fee and 15% of the value of products as re-stocking fee. - Melvita can re-ship orders that are returned as undeliverable or unclaimed. However, customers will be charged for resend shipping fee based on the original shipping method used for your purchase. - Melvita is not responsible for damage after delivery. - Melvita reserves the right of final decision in case of any dispute. In general, all users may visit Melvita Hong Kong website anonymously without revealing any personally identifiable information. Melvita Hong Kong only collects personal information when you create an account and register to receive our communications including email newsletters and direct mailings by post, or when you register to place an order. By providing such information to us, you will be deemed to have consented to our collection of such information and Melvita Hong Kong may contact you with promotional information through email or post. You have the right to unsubscribe from Melvita Hong Kong promotional activities at any time. The customer information that we have in our database is reserved for internal use only, we do not sell or hand out this information to anybody, meaning that we keep this information confidential. This information is only needed in order to get to know you better and to find ways to improve our service quality. Furthermore, we only save data to the extent that it is technically and commercially necessary. All transactions at this online store are protected by SSL (Secure Sockets Layer) and Secure Data Encryption using a 1024-bit process. All credit card payments are processed in real-time for your security and immediate peace of mind. For payment options we accept Credit Card (MasterCard™ and Visa™). This transaction will appear on your bank statement as a payment to Melvita.